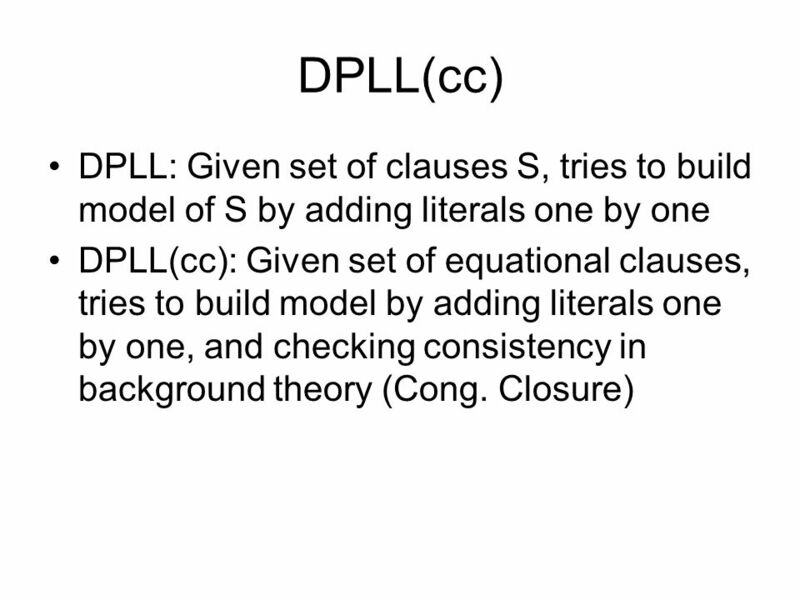 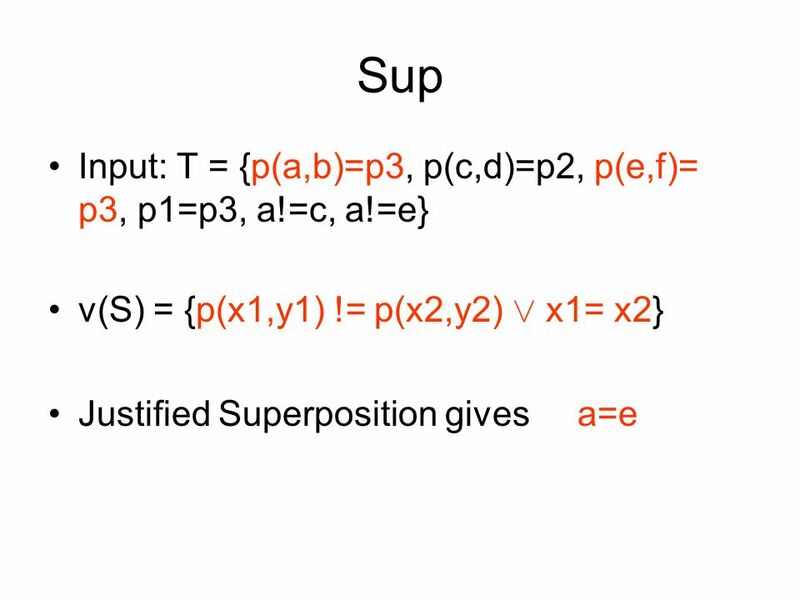 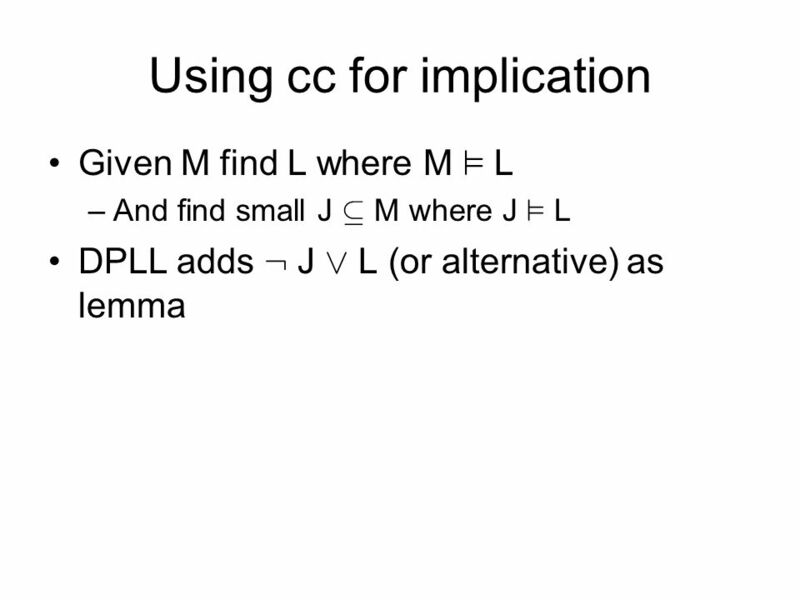 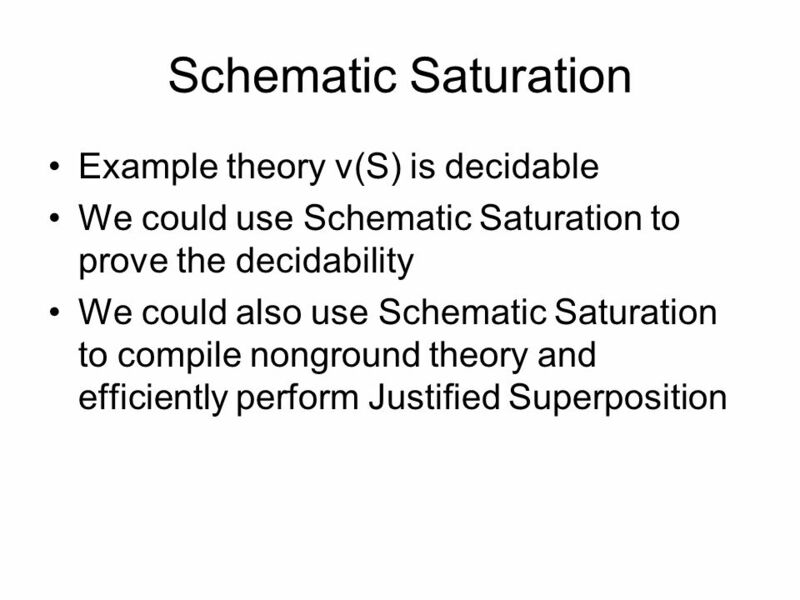 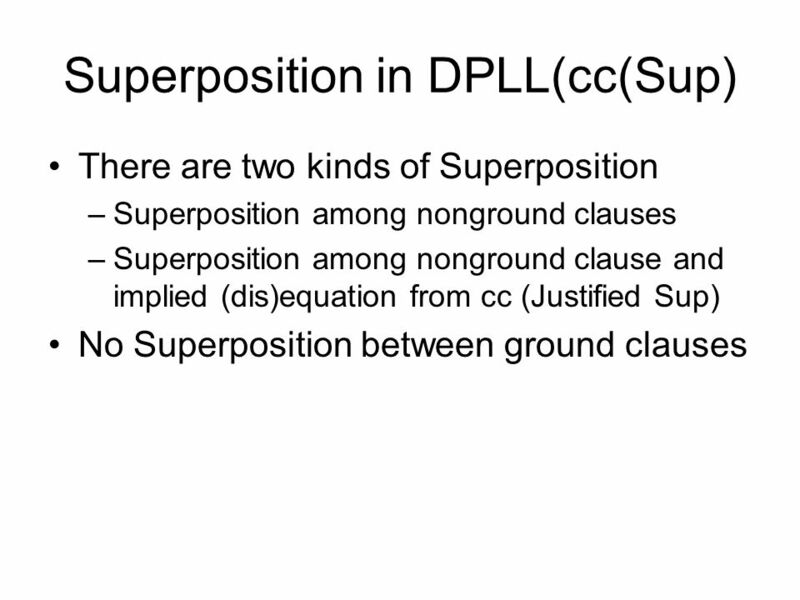 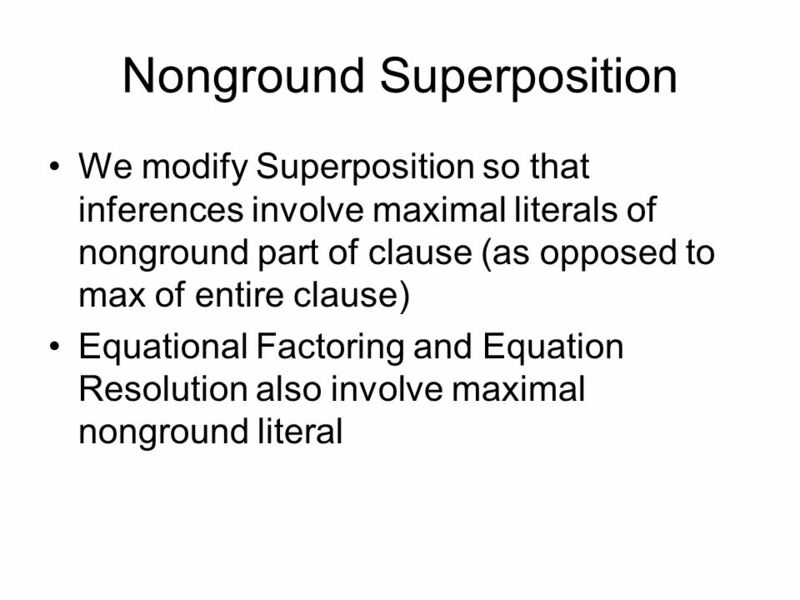 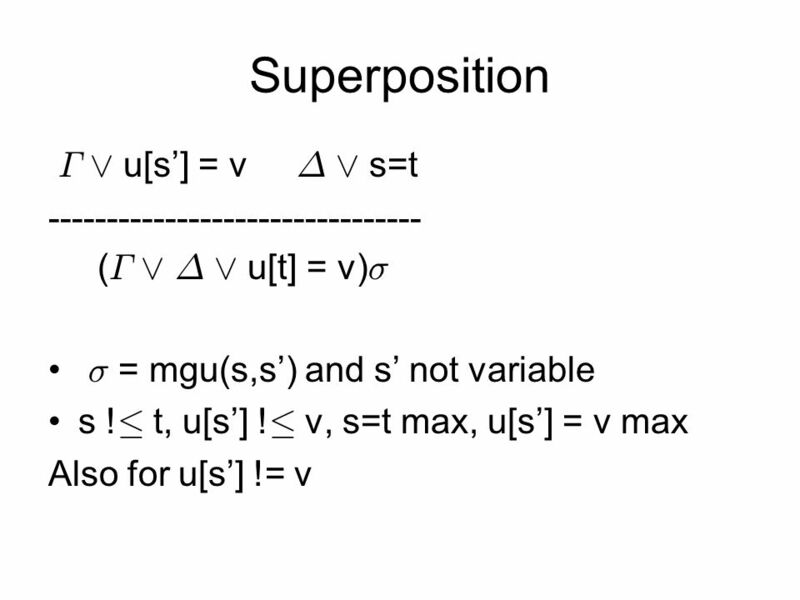 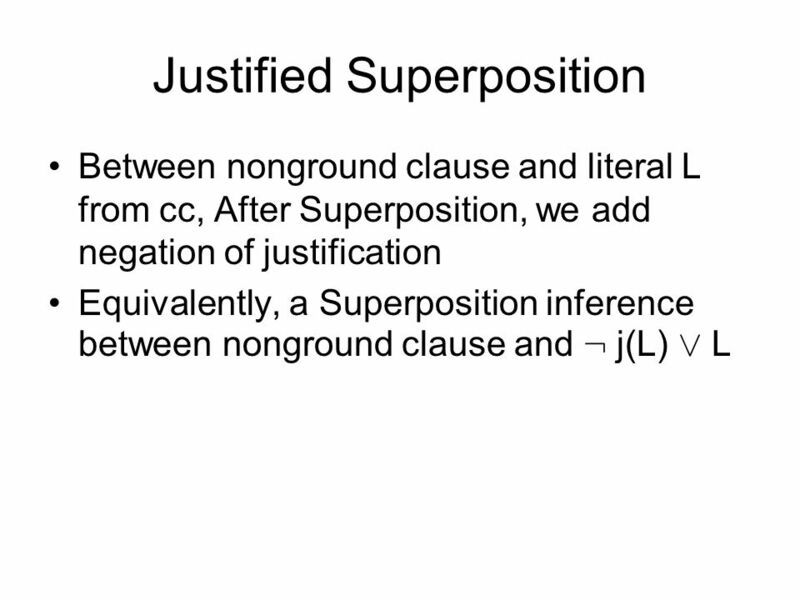 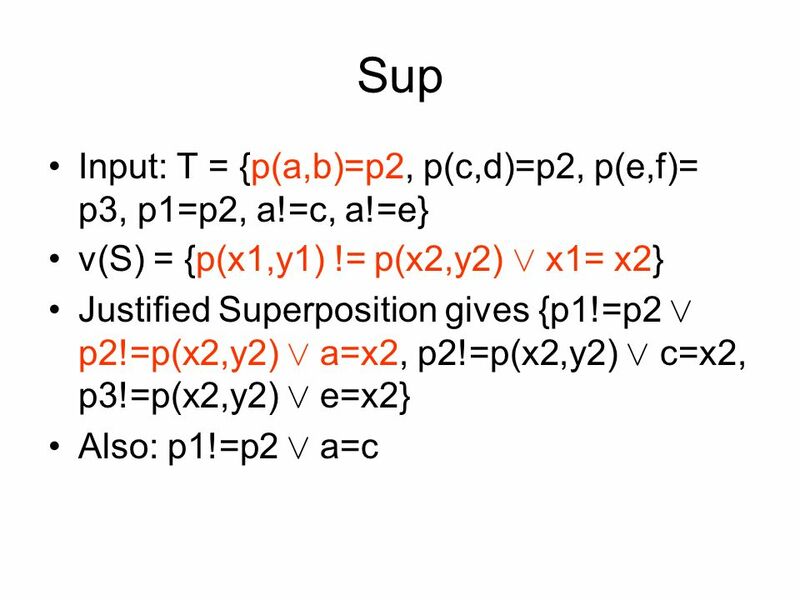 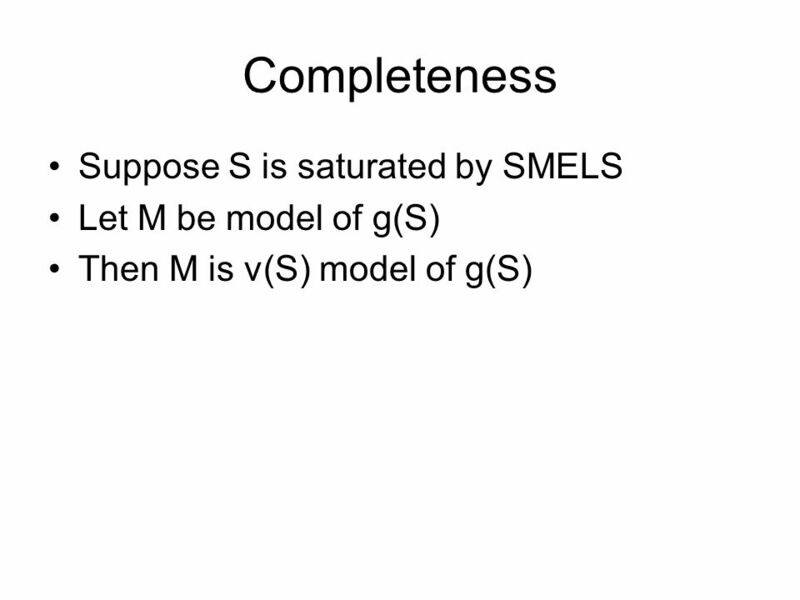 SMELS: Sat Modulo Equality with Lazy Superposition Christopher Lynch – Clarkson Duc-Khanh Tran - MPI. 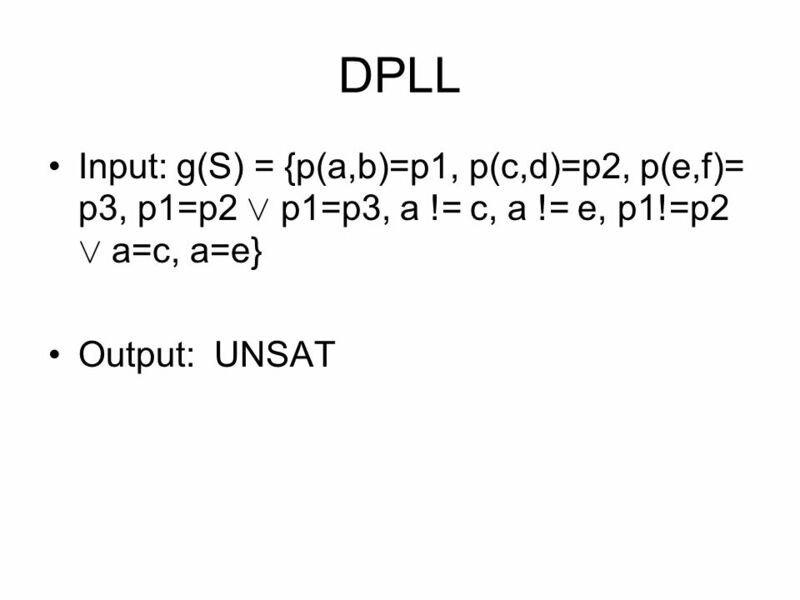 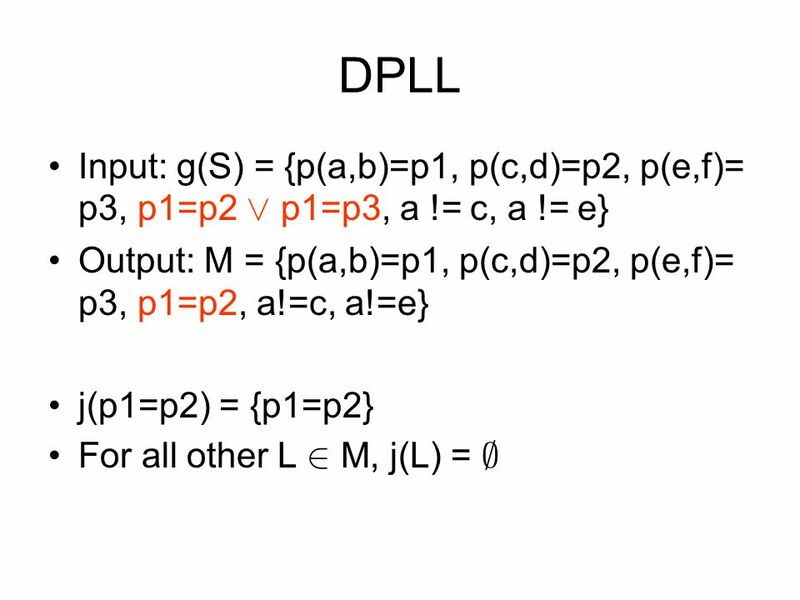 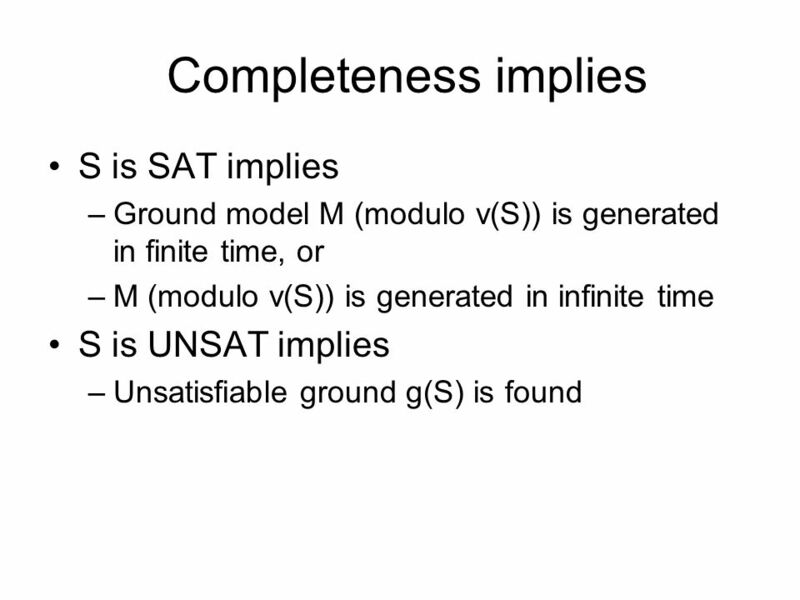 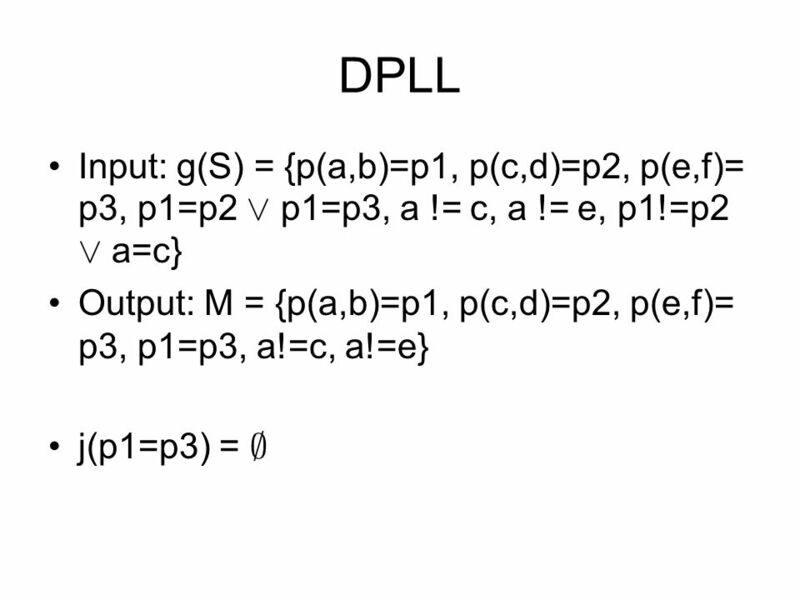 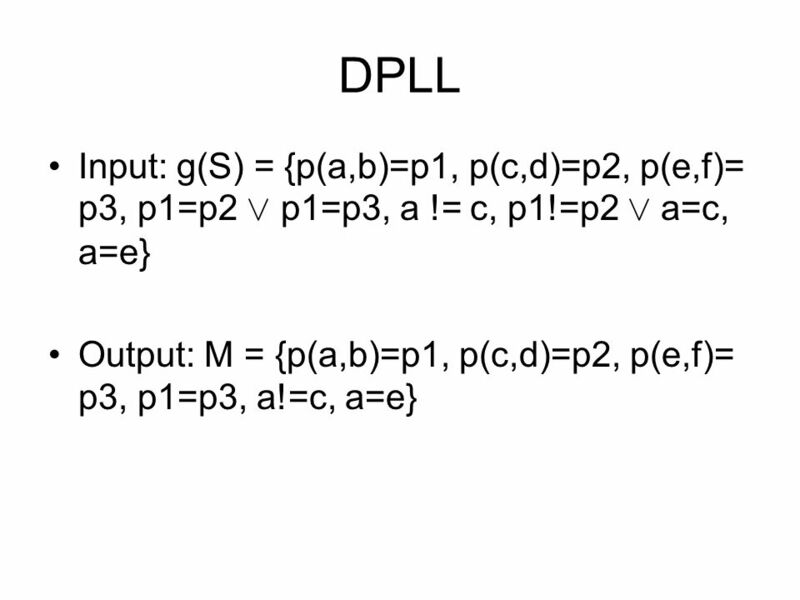 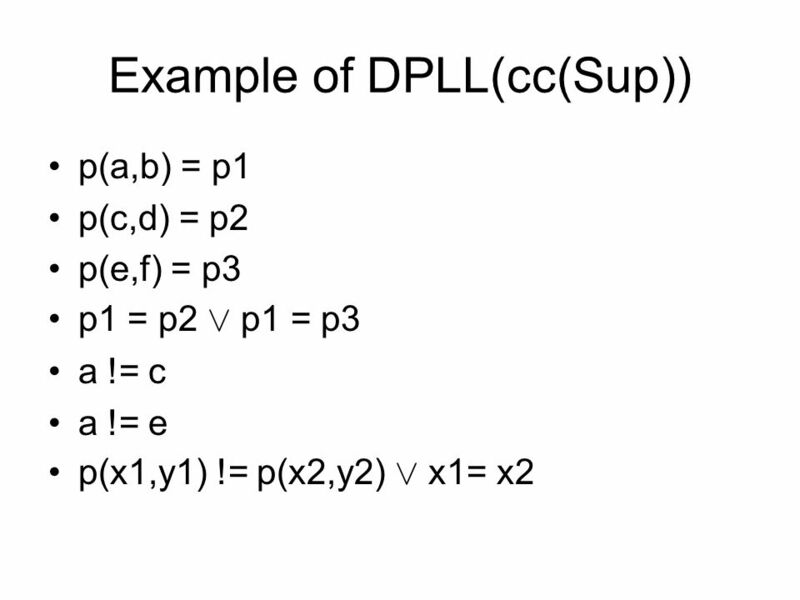 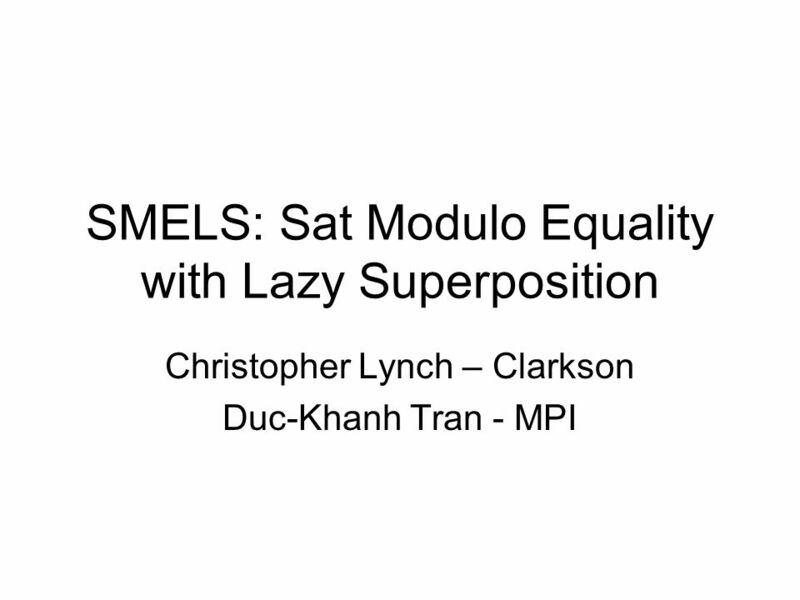 Download ppt "SMELS: Sat Modulo Equality with Lazy Superposition Christopher Lynch – Clarkson Duc-Khanh Tran - MPI." 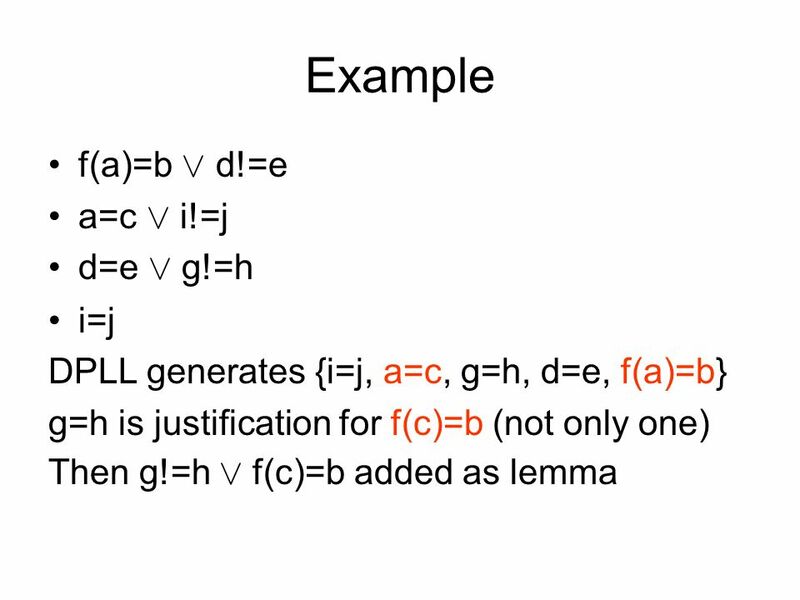 Quantified Invariant Generation using an Interpolating Saturation Prover Ken McMillan Cadence Research Labs TexPoint fonts used in EMF: A A A A A. 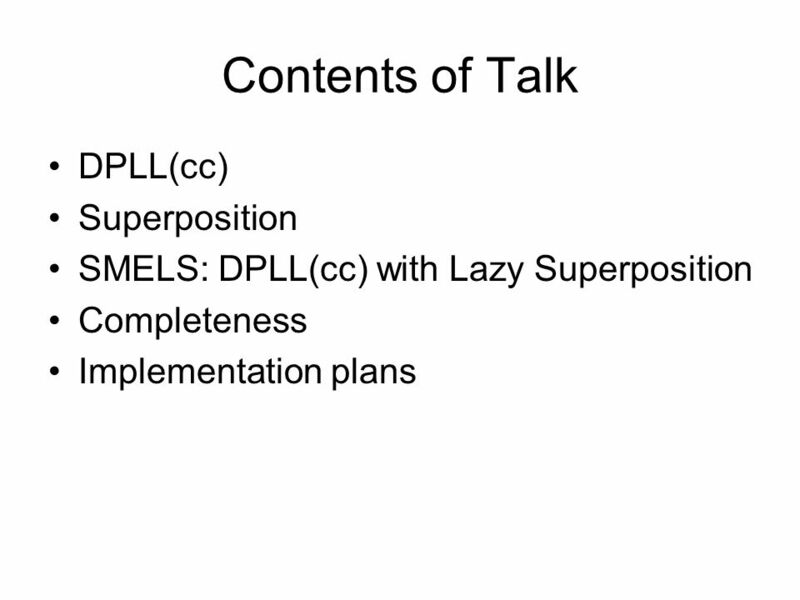 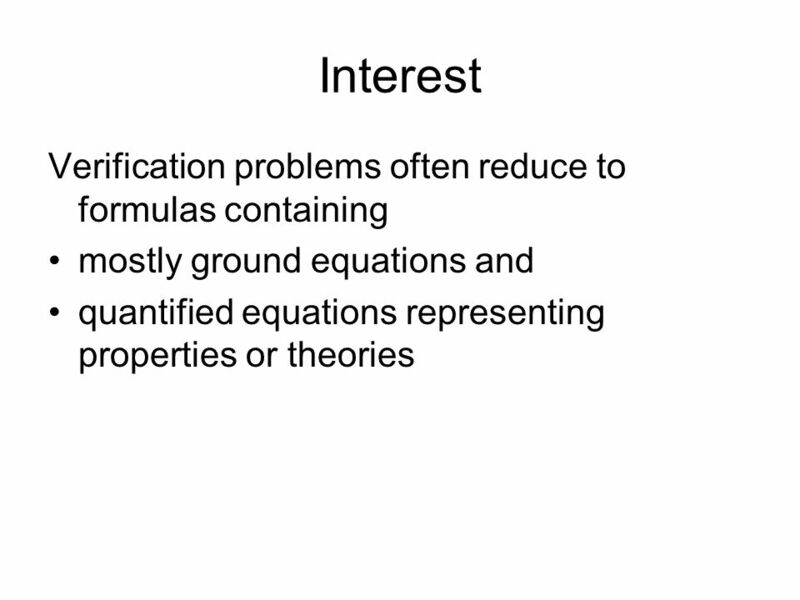 Some important properties Lectures of Prof. Doron Peled, Bar Ilan University. 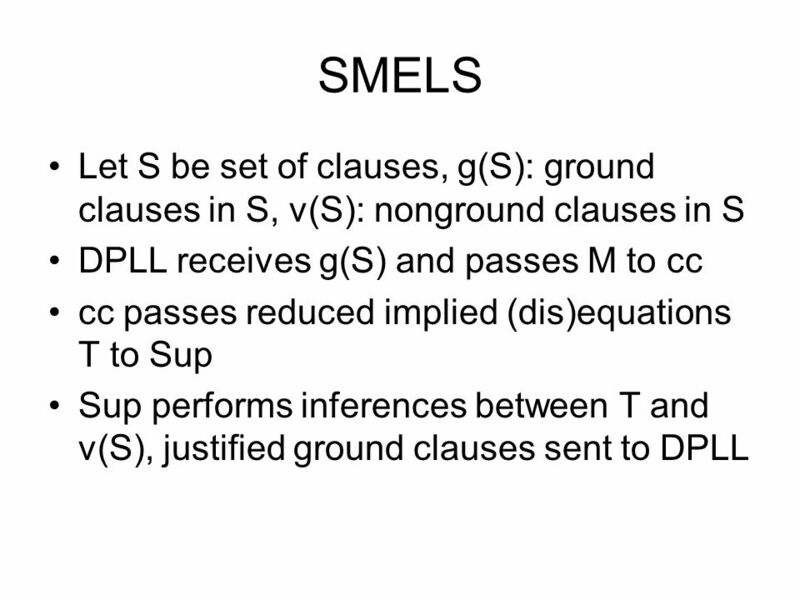 Software Model Checking with SMT Ken McMillan Microsoft Research TexPoint fonts used in EMF: A A A A A. 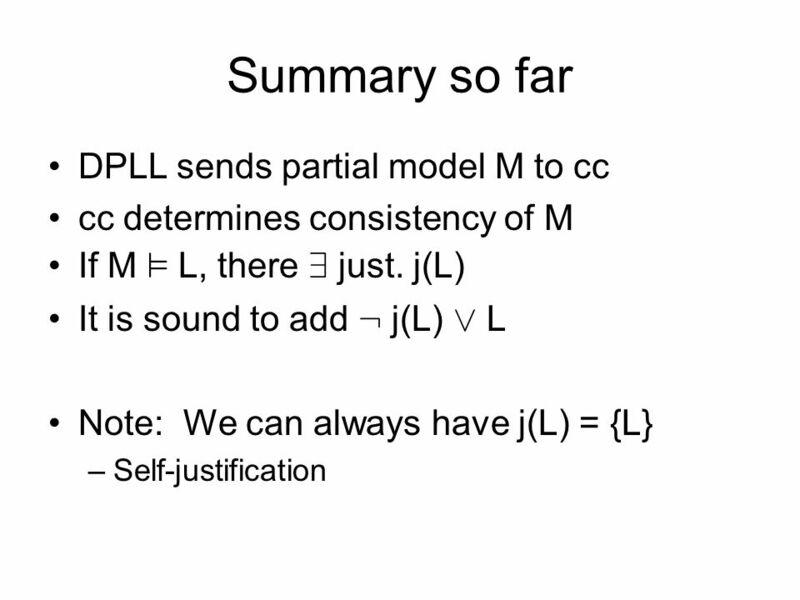 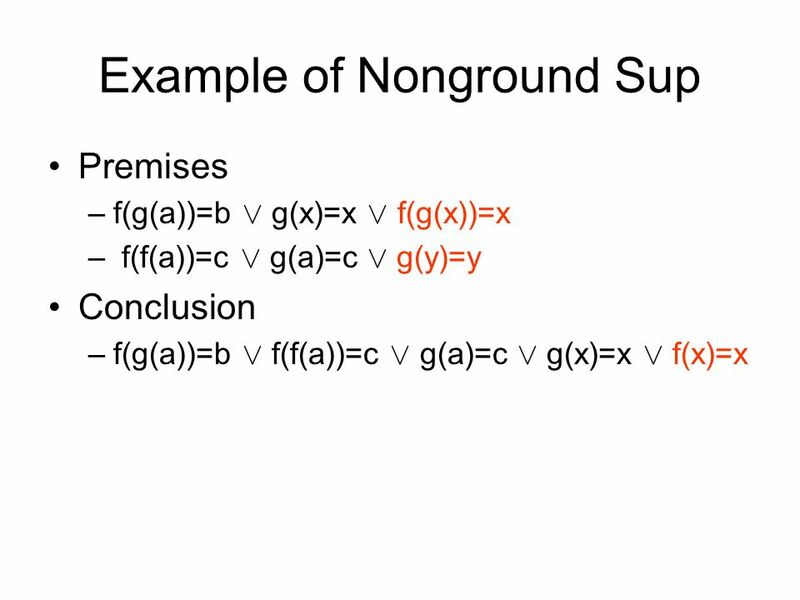 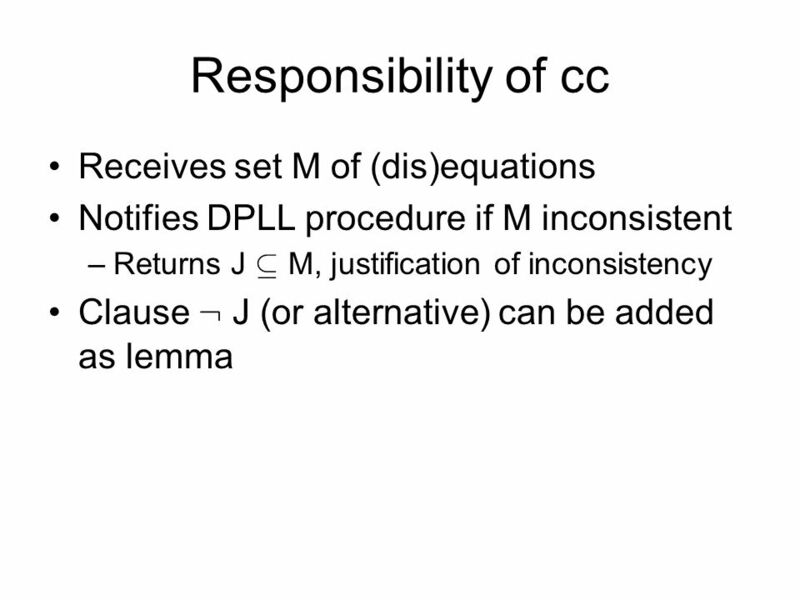 Working with Discourse Representation Theory Patrick Blackburn & Johan Bos Lecture 3 DRT and Inference. 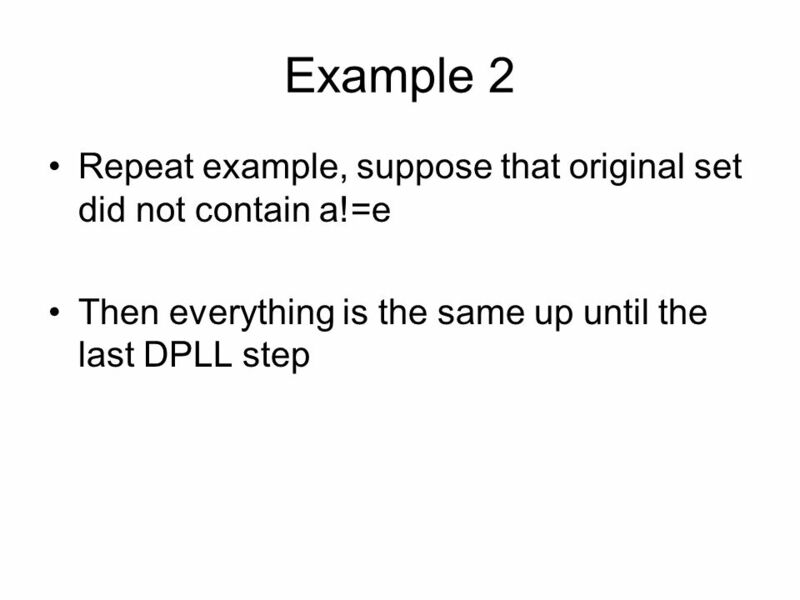 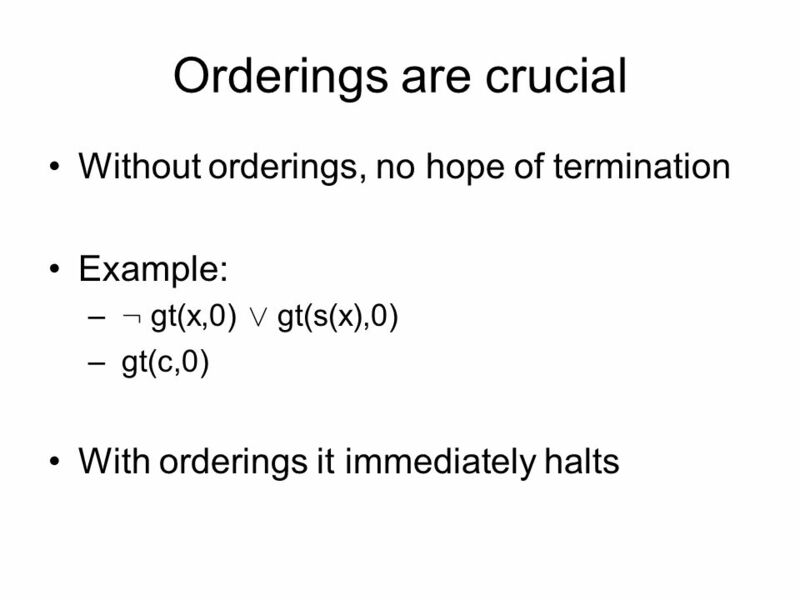 Inference in first-order logic Chapter 9. 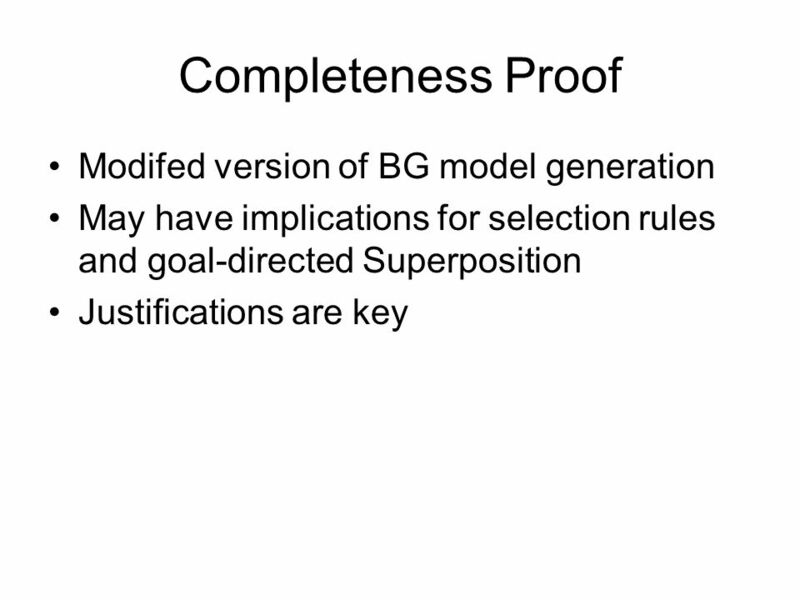 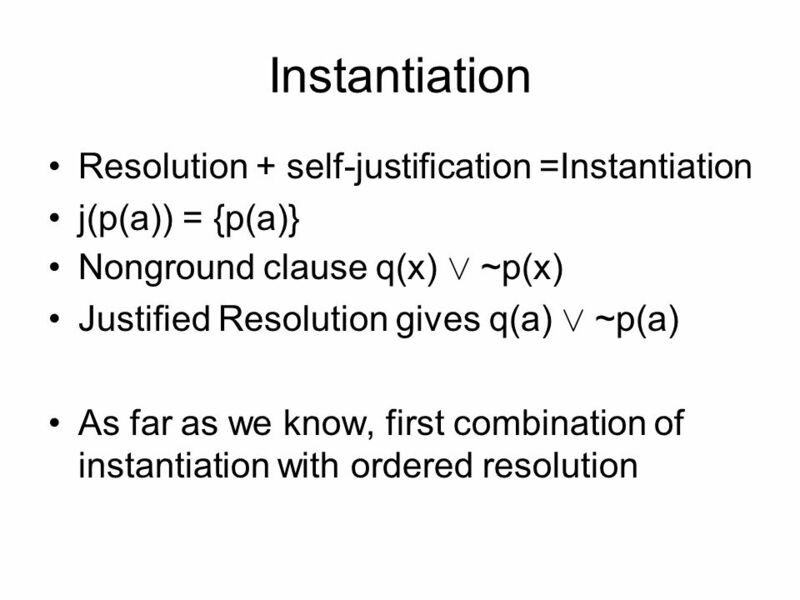 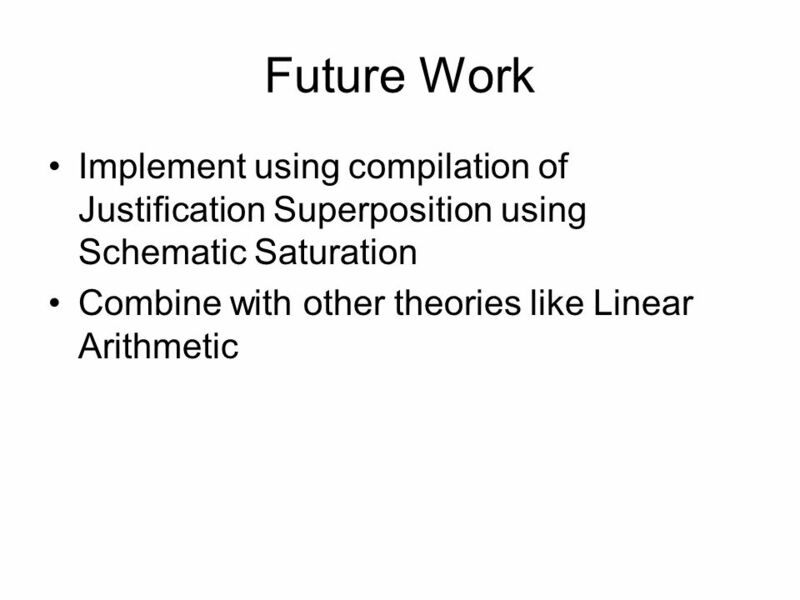 Outline Reducing first-order inference to propositional inference Unification Generalized Modus Ponens Forward. 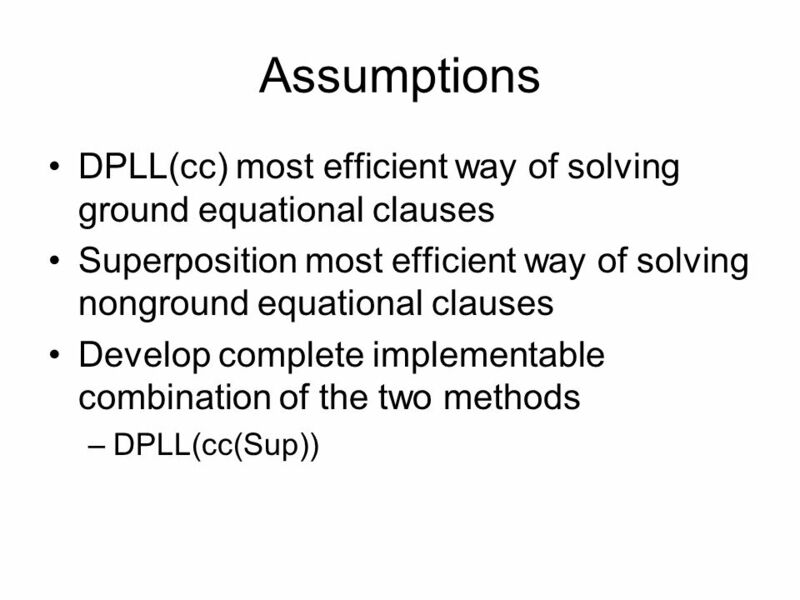 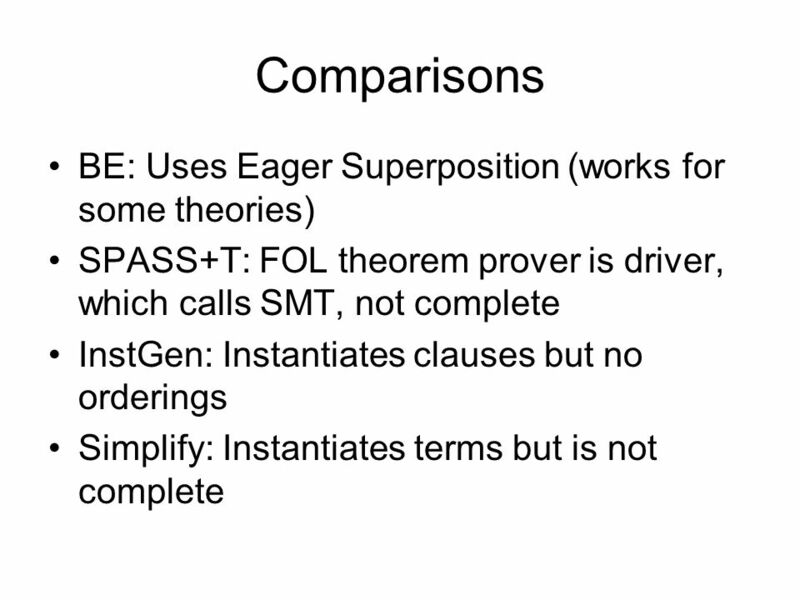 UIUC CS 497: Section EA Lecture #2 Reasoning in Artificial Intelligence Professor: Eyal Amir Spring Semester 2004. 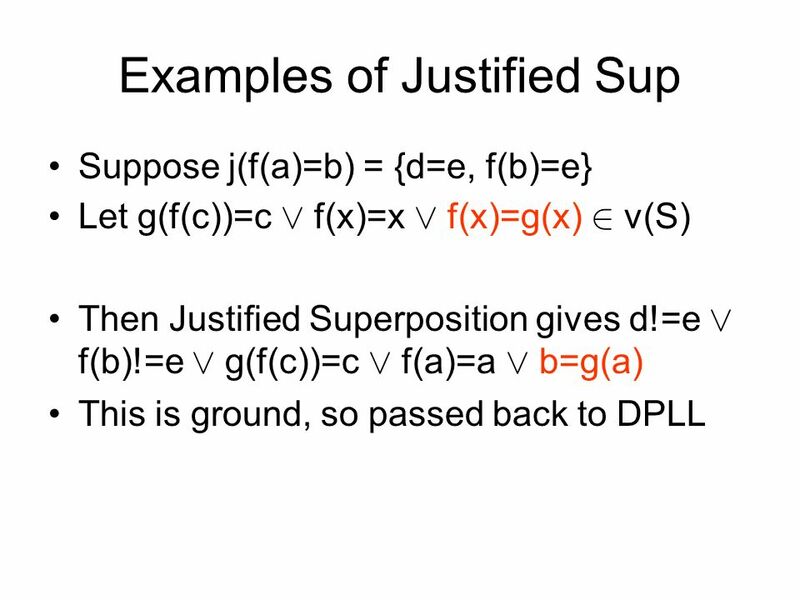 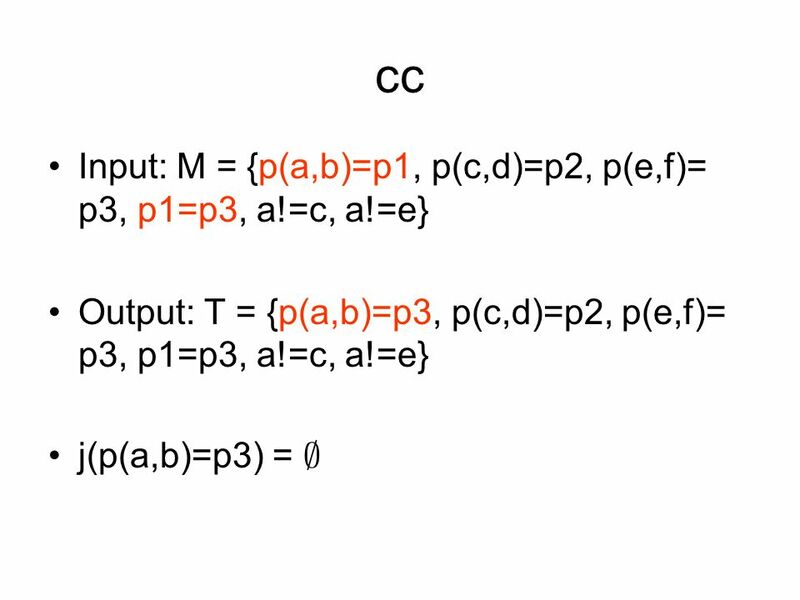 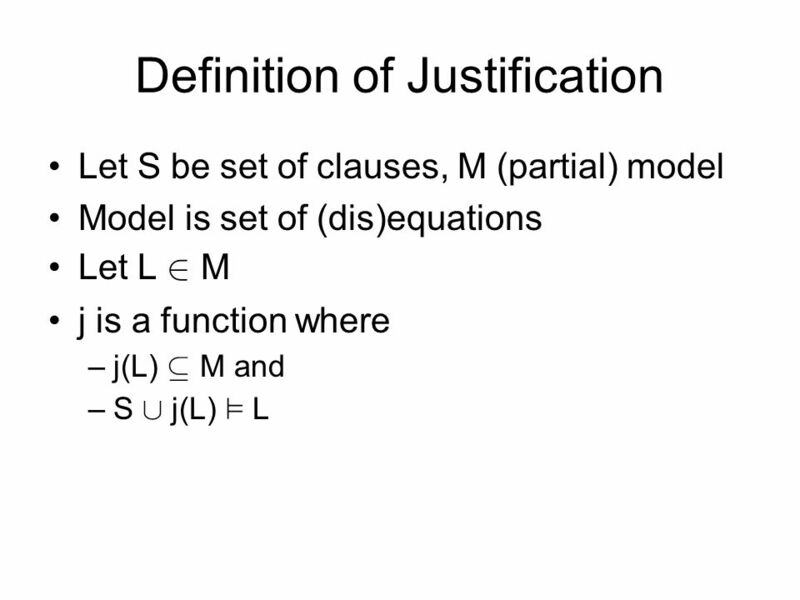 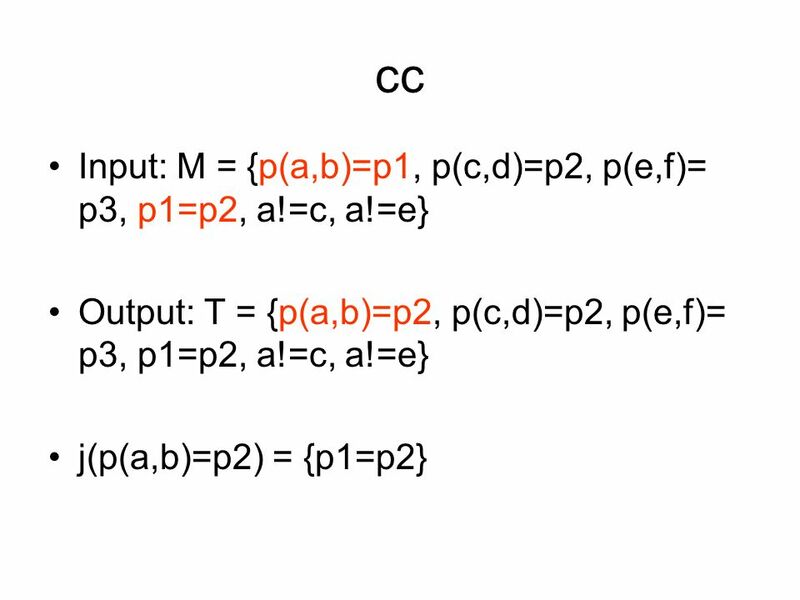 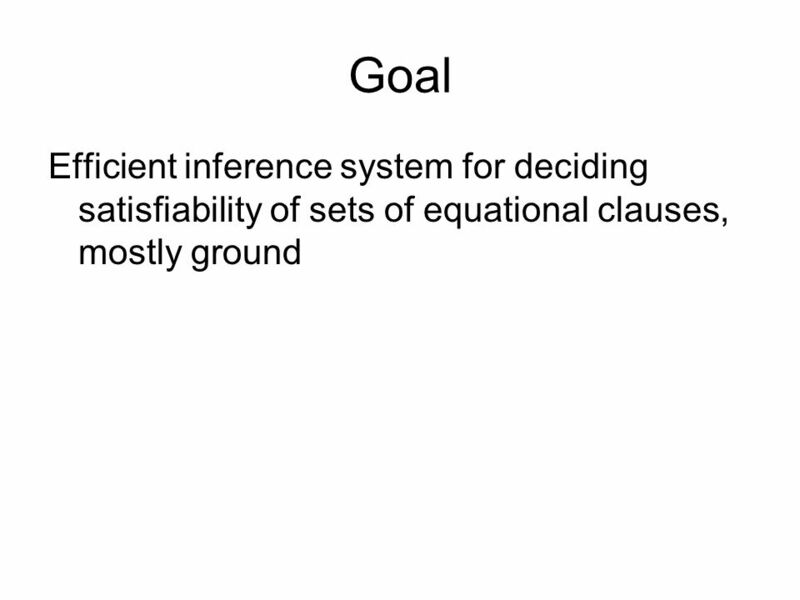 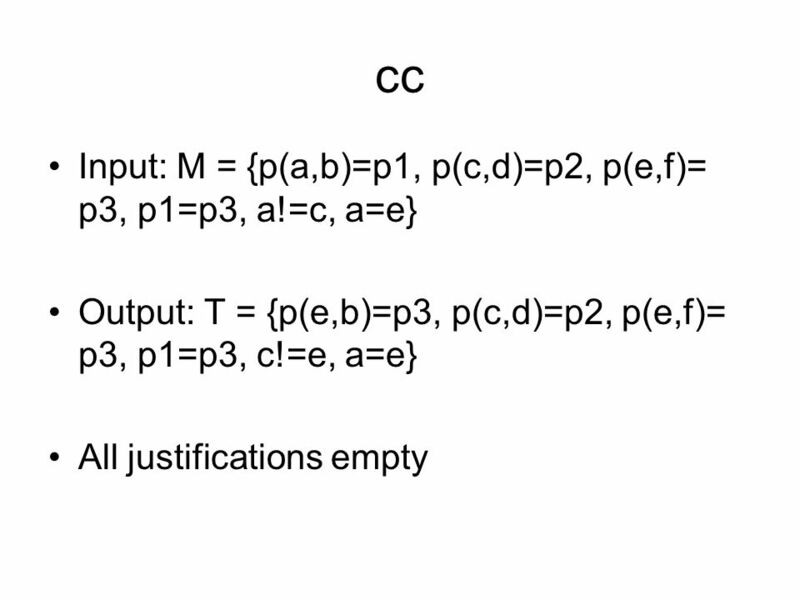 Last time Proof-system search ( ` ) Interpretation search ( ² ) Quantifiers Equality Decision procedures Induction Cross-cutting aspectsMain search strategy.